For millions of children, playing outside, drinking water, and breathing the air are often dangerous activities. That’s because pollution is rampant and dangerous in many parts of the world. The World Health Organization recently concluded that pollution is responsible for the deaths of 1.7 million children around the world, or one in four deaths for children under the age of 5. Then there are the many millions of other children who are irreparably damaged from, but not killed by, pollution. WHO previously reported that air pollution kills 6.5 million people a year. But children are especially vulnerable to these threats. In many places around the world, the air is thick with car exhaust and the unfiltered fumes of factories, waterways are fetid with human waste and industrial runoff, and agriculture is contaminated with chemical pollution. In isolation, or together, these environmental hazards can erode and destroy a child’s immune system. The leading cause of death relating to pollution are respiratory infections from indoor and outdoor air pollution, and secondhand smoke, which kill 570,000 children under 5 each year. Oftentimes, families use unsafe cooking and heating stoves that burn dung, coal, and even plastic in their homes, which can lead to fatal illnesses. Further, many countries are facing a toxic convergence of increasing droughts, dust storms, and fossil fuel emissions that make the outdoors air almost unbreathable. Following air pollution is death by diarrhea, caused from unsafe water and sanitation, which kills 361,000 kids each year. A resurgent threat of lead contamination is occurring around the world, even in the US, most luridly in the case of Flint, MI. Even small amounts of lead in water can cause severe neurological problems in children. 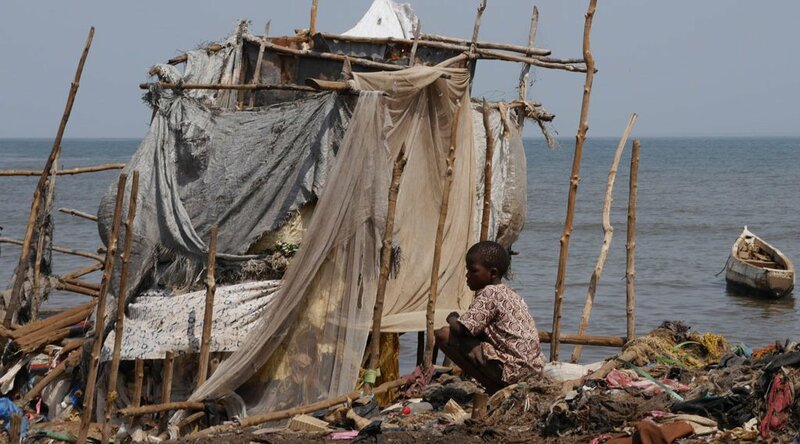 Malaria caused by poor environmental oversights like sitting pools of water, and unintentional injury caused by poisoning, falls, and drowning are the other leading causes of pollution-related death in the world. The WHO stresses that the improper disposal of electronic and electrical waste is rising around the world. Cell phones, in particular, are not being recycled and deadly toxins are leaching into soil and water sources where they are then carried into humans. All pollution is the result of economic and social conditions and choices that can be changed. The 20-year old car that spews black exhaust because transportation options are limited; the tannery that dumps processing chemicals into rivers because regulations are lax; the human waste burbling in a pit that overflows into the local well; trash bags tossed out of windows and left to rot. All of these events — and countless more — appear inevitable when you consider the social and economic pressures and conditions of many cities and towns around the world. But none of these examples have to happen — especially not on the scale that they do. Old cars can be banned and public transportation can expand; factories can be shut down if caught polluting; sanitation systems can be built; garbage collection can be coordinated and clean. Good governance is not just a matter of making society more efficient and effective. It’s also a matter of saving millions and millions of lives.